Sachin Tendulkar tops the list which includes the legendary cricketers the game has ever seen. 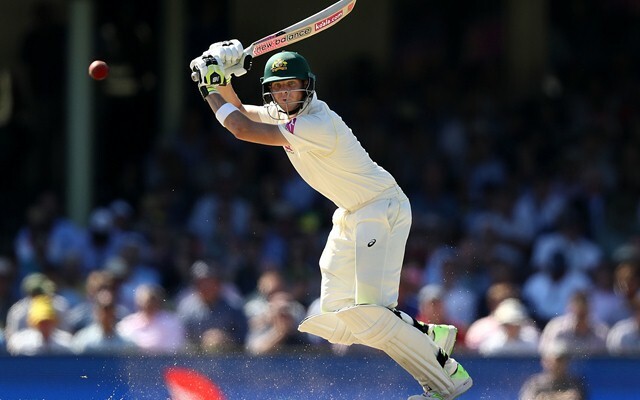 Steve Smith went past the 6000-run barrier during the second day’s play of the fifth and final Ashes Test in Sydney at the SCG. He became the second-fastest to the landmark only behind the all-time great Don Bradman. He trumped the likes of Wally Hammond, Len Hutton and Kumar Sangakkara as he continued to shatter records. 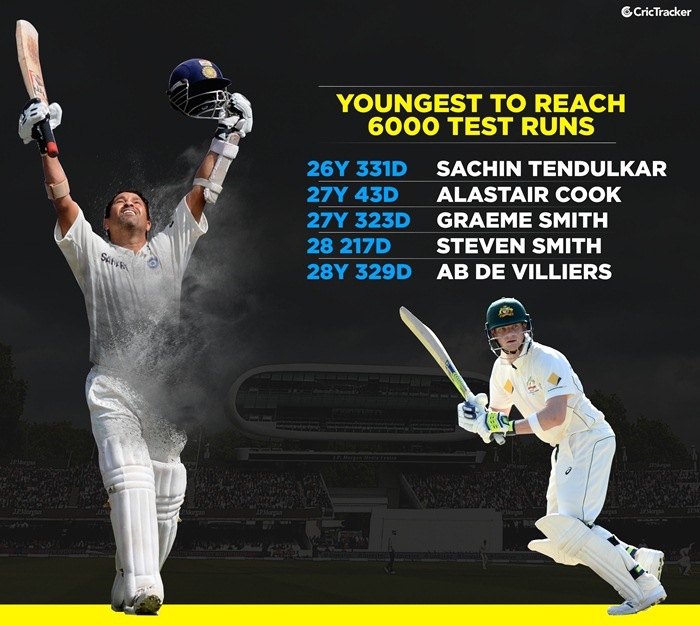 However, he has also now entered into the elite list of the youngest players in the history of the game to score 6000 runs. Sachin Tendulkar is at the top of this list who was only 26 years and 331 days old when he achieved the feat in the longest format of the game. His name at the top is not surprising given that he made his international debut at the age of 16. Alastair Cook is the next on the charts as he had recently celebrated his 27th birthday when he scored his 6000th Test run. He is still playing the game in whites and recently scored 239* carrying his bat sensationally proving his hunger for runs. Steve Smith, however, is the fourth youngest player to reach the feat in Test cricket in his already illustrious career. He has been creating and breaking a plethora of records with an amazing form in the traditional format. Moreover, he has also piled up the runs away from home as he still picks his second innings century in Pune on a dustbowl last year as the best ever knock. His juggernaut has continued to grow and never stopped when the team was on the road and has magnificently held the disruptive line-up together. South African legends Graeme Smith and AB de Villiers are also part of this list who have served their country with purpose and determination. While the former led the side for a lot of years, the latter is part of the ongoing Test series against India after coming back from the sabbatical in Test cricket. While de Villiers is the oldest in this top five list and reached the landmark just before turning 29, Smith is third reaching exactly a year earlier than him. Stay updated with all the cricket stats and news on Crictracker.